Sonterra subdivisions are gated and guarded. 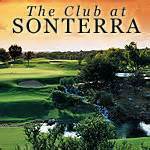 Many have direct access to the Club at Sonterra. Some of the bigger subdivisions include the Oaks of Sonterra, Fairways of Sonterra, the Club of Sonterra, the Villas at Sonterra and the Vistas of Sonterra. You can find Sonterra homes in the $300,000 range, all the way up to over $1million. The homes in the upper price ranges are known for the generous square footage, city or golf course views and many extras and upgrades. Sonterra is comprised of a series of popular country club-style subdivisions in what is referred to as the North Central Corridor of San Antonio. If you decide to purchase a Sonterra home for sale, you will be approximately 10 minutes from the San Antonio International Airport, and access to downtown San Antonio will be a short 20 minute ride. Sonterra is one of the planned communities in the larger area known as Stone Oak. Stone Oak is situated on land that had belonged to several ranchers in the area. In the 1980s, a small group of developers saw the potential for a planned community. To attract builders, the original group started by developing a golf course. The first subdivisions surrounded the golf course and are now subdivisions of Sonterra, including The Gardens, The Greensview, and The Midlands. Overall, there are approximately 16 Sonterra subdivisions. As local real estate experts, we can help you narrow down your search because we know all the subdivisions in Sonterra. Call us at 210-215-7440 or send an email to get your next real estate transaction off to a great start! The Club at Sonterra is a private golf and tennis and social club. If you’re interested in joining the Club, you’ll find that there are several different types of memberships. The Club has something for everyone. Golf – There are two 18-hole championship golf courses that offer scenery ranging from rolling hills to acres of large oak trees. Both a Men’s and Women’s Golf Association are active at the Club and instruction is also available. Tennis – The tennis program includes opportunities for instruction, and there are Junior clinics and camps for the kids. Pool – You’ll love the beautiful outdoor 25-meter swimming pool. The pool area also boasts a diving well and children’s wading pool. Lifeguards are on duty during normal hours of operation. Fitness Center – You’ll be able to stay in great shape using the state-of-the-art fitness center. Take advantage of yoga, Pilates or Boot Camp-type training. Then, get a relaxing massage to start your day off right. Dining – You have a choice of informal and formal dining facilities to fit your mood. Clubs – There are a number of “clubs within the Club”. Depending on your interests, you may enjoy the Dance Club, American History Club, Book Club, Vintner’s Club, Theater Club, Military Club, Networking Club or the Game Club. You’ll never get bored as a Sonterra homeowner! Sonterra is located in the Northeast Independent School District. The schools in this district are recognized for excellence in education. If you would prefer a private school for your children, there are several private schools nearby.